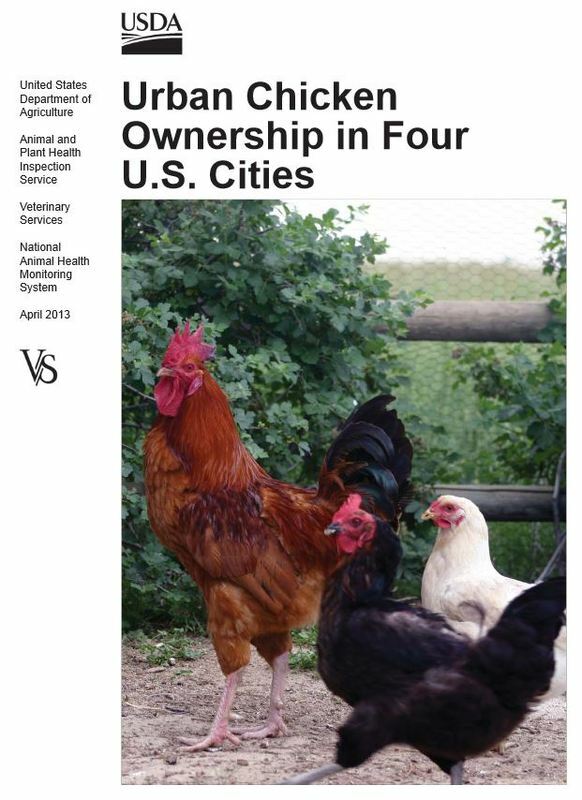 Raising chickens in urban environments is a growing phenomenon in the United States. 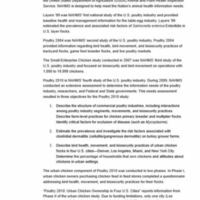 Urban chicken flocks are not part of the commercial poultry industry; however, they sometimes provide chicken meat and eggs to local food systems such as farmers’ markets. 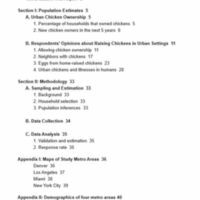 Urban chickens represent an avian population for which very little information is available. 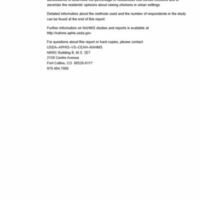 An understanding of the level of urban chicken ownership could be important in the event of a disease outbreak such as avian influenza or exotic Newcastle disease (END). For example, the 2003 END outbreak in southern California involved many urban chicken flocks. 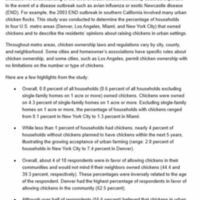 This study was conducted to determine the percentage of households in four U.S. metro areas (Denver, Los Angeles, Miami, and New York City) that owned chickens and to describe the residents’ opinions about raising chickens in urban settings.